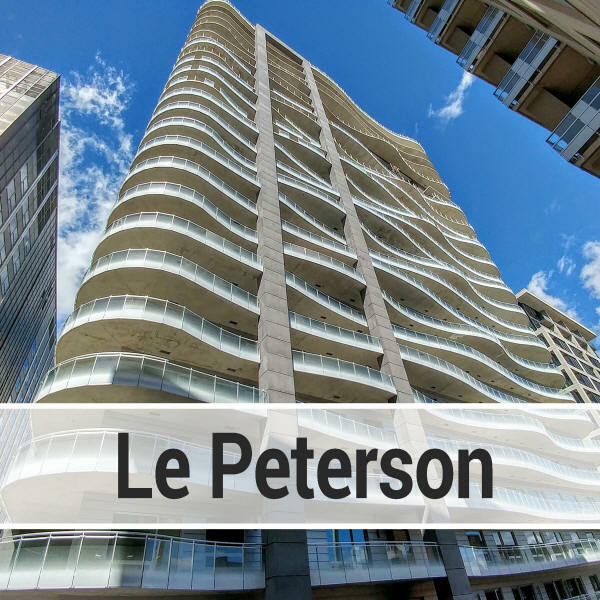 Le Peterson has been literally making waves with its unique architectural design. 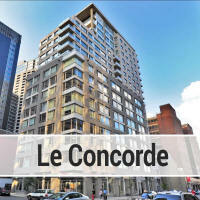 After several delays, the first Condos were delivered in September 2016. 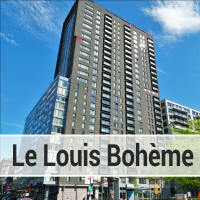 The building has been a great success overall with nearly all of the Condos sold (with the excpetion of the Penthouse units which are in a category of their own and are about 50% sold as of the end of 2016). 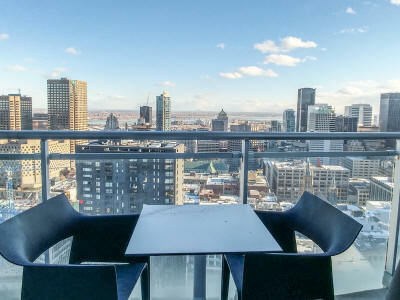 Located in the Quartier des Spectacles in the heart of Downtown Montreal, it was named after Oscar Peterson, a famous Monteral Pianist. 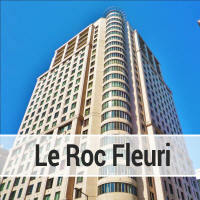 It is the area's tallest building at 36 floors high. 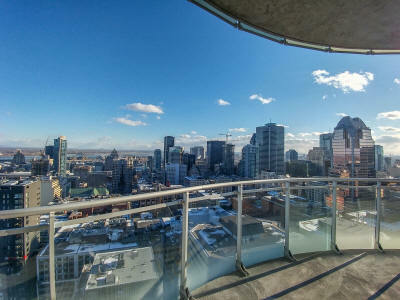 Le Peterson's main selling point is the amazing views available from most units above the 10th floor. The Le Peterson's external facade is flat, but the balconies have curved designs which gives the impression of an ondulated or 'wavy' design from afar or when looking up from the street. 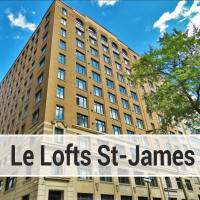 The lower floors are loft style units with mezzanines and double height windows. 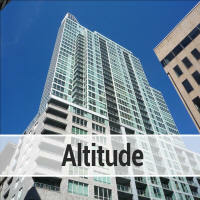 There is much additional volume in these units but few have any of the views that are expected from this building. As of the10th floor (equivalent) though, the units are more condo like with today's standard 9ft ceilings and the balconies that are such an important design feature of the building. The building's amenities are interesting as almost half of the ground floors' square footage has been make into a lounge area with a pool table and foozball tables as well as many tables and chairs. 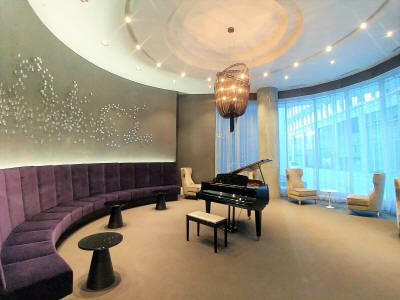 It looks like a high end bar but it is meant for residents only (though guests are allowed in of course). It also has a large climbing wall for those who enjoy such activities... from this high up it can really give the the impression of being on the side of a moutain.